If you are in the training industry don’t miss this one! eLearning Insights 2017 is the place for learning professionals to gain insights into current and future industry trends. 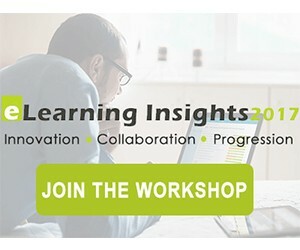 Join us for an inspirational session with 2 of the world’s top 100 eLearning professionals, a first for South Africa! eLearning Insights 2017 is the first event in South Africa that merges international Learning & Development specialists with South African HR and Training professionals. The purpose of eLearning Insights 2017 is to empower organisations through the use of learning technologies, best training practices and international trends. eLearning Insights 2017 will be held on 13 September 2017 at the Bryanston Country Club and 14 September 2017 at the V&A Waterfront, Cape Town. To book your seat, please click the link below. It is well known South African corporates are failing to implement and/or monitor training processes. In a recent finding, it has been discovered that 61 % of organizations admit they are failing to provide employee training programs, while 48% of organizations concede their current training and development programs are ‘’mediocre’’. These findings raise further concern as 84% of organizations consider training processes to be a major problem area. We have been afforded a rare opportunity to have 2 of the world’s top learning specialists speaking at the event, namely Ger Driesen, eLearning Evangelist and Brant Seethaler Commercial Director of eLearning technology giant aNewSpring. Our guest speakers will be discussing top international trends and practices, ways to develop a successful training culture and eLearning technology. Our audience will engage with the Learning Specialists during a Q&A session whereby they can discuss their unique training challenges and receive expert advice. The cost per ticket is R 595.00 ex VAT, includes refreshments and snacks. Group bookings over 5 attendees will receive a discount.